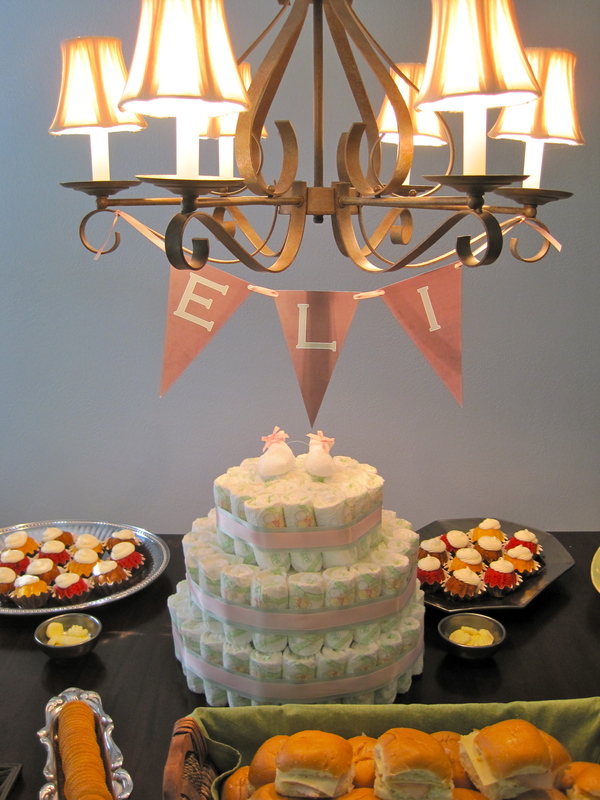 One of the designs that I feature on my etsy shop is this Pennant Baby Shower invitation. 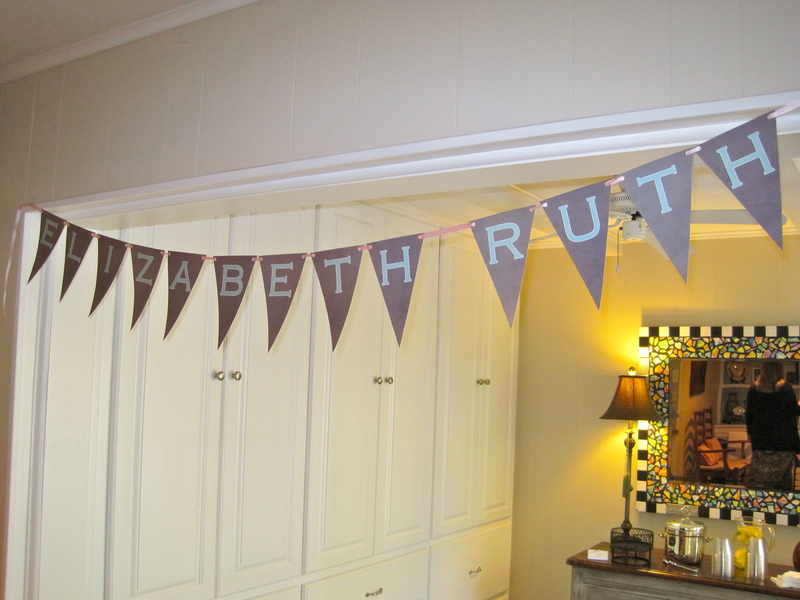 Designed to celebrate one of my dear friends, she really wanted something that wasn’t too girly. She originally told me NO pink whatsoever, but being the mom of a boy I was dying to have at least some pink! Luckily we ended up being able to slip a little bit of it in there without going too over the top, and mom was still happy. 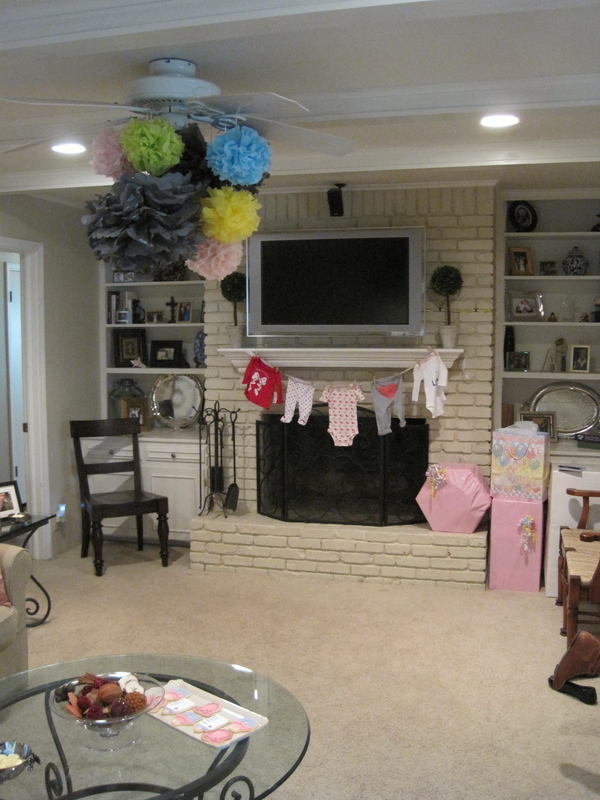 We also used tissue poms, and some sweet little outfits to decorate the living room. The tissue paper pom poms turned out to be SUPER easy to make yourself. I’d definitely give it a shot if you’re thinking about it! There’s a pretty good tutorial for it on Martha Stewart. 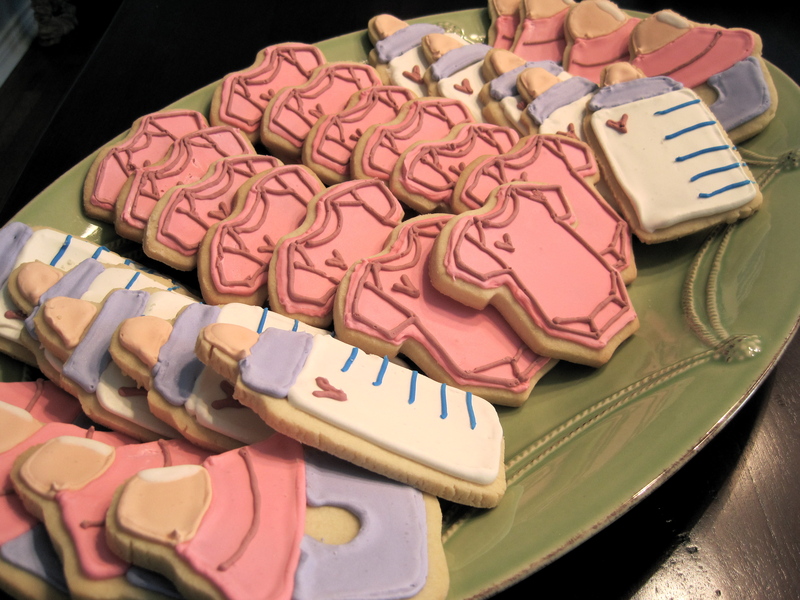 My friend’s mom and sister made these amazing cookies. I love to bake, but am severely lacking when it comes to decorating skills. I was so impressed by these! 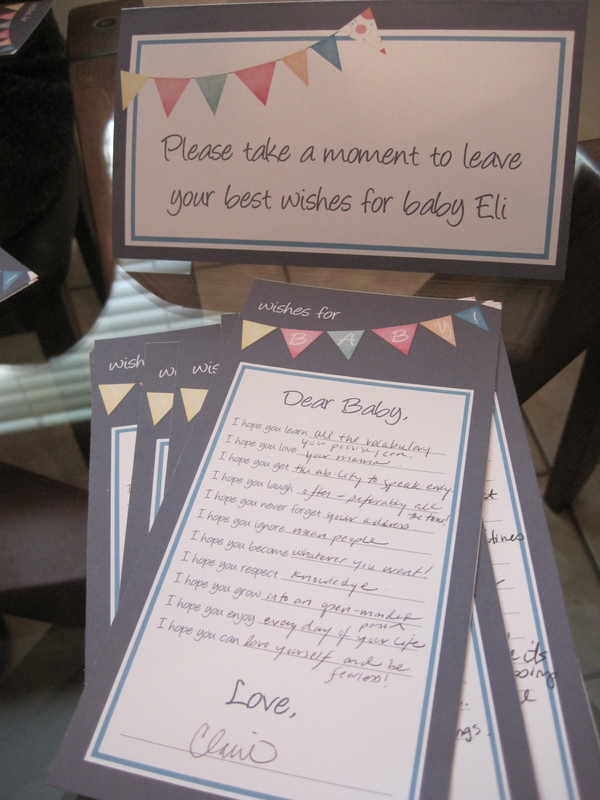 And finally, instead of a game we created a “wishes to baby” card that coordinated with the invitation. I just love these so much. It’s such a great keepsake for them to look back on! 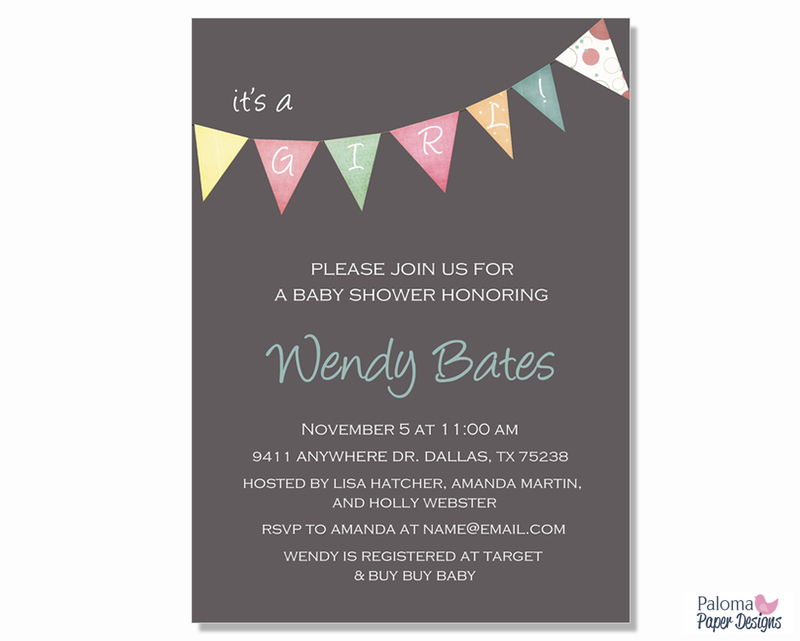 This entry was posted in Baby Showers, Invitations and tagged Baby, Baby shower, Baby Shower Invitation, babyshower, Entertaining, Girl Baby Shower, Invitations and Announcements, Paloma Paper Designs, Pennant Shower Invitation by My Running Leap. Bookmark the permalink.